What do I mean friends of Around the World in 80 Skeins? How can a website have friends? Well, last fall I set out on an adventure to interview fiber arts designers from around the world about what inspires them. It turns out, that 10 of the designers I interviewed last year are participating in the GAL this year! Today’s spotlight shows my favorite pattern from each of these designers and links to their interviews from the tour. Why I love it: You can wear it a ton of different ways and since it’s made in Bulky it’s perfect for quick gifts! Why I love it: I just need this poncho in my life, I mean, you need this poncho in your life (unless you want to knit it and give to me, which is cool too). 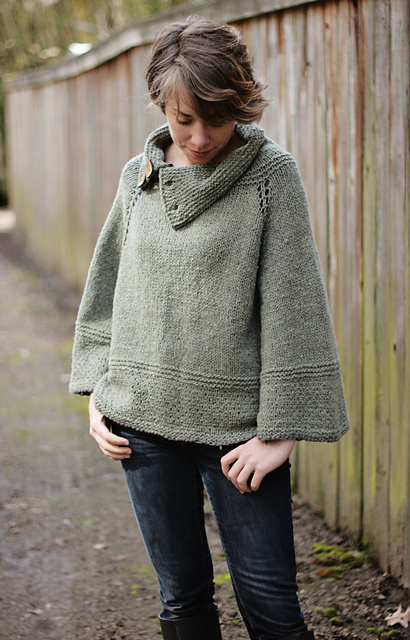 It has the look of a sweater but the ease of a poncho – love it. 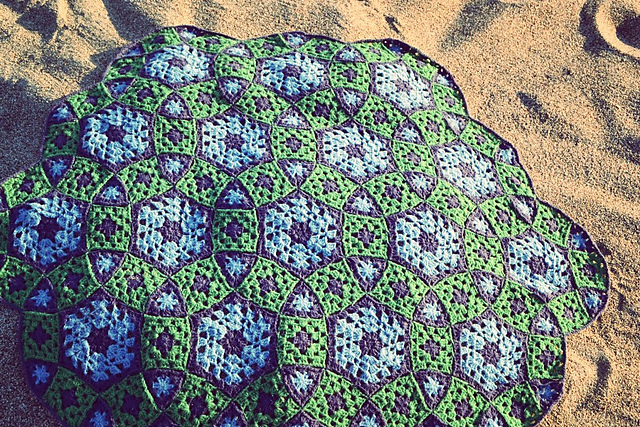 Why I love it: This blanket uses different geometric shapes to make an endless number of variations. 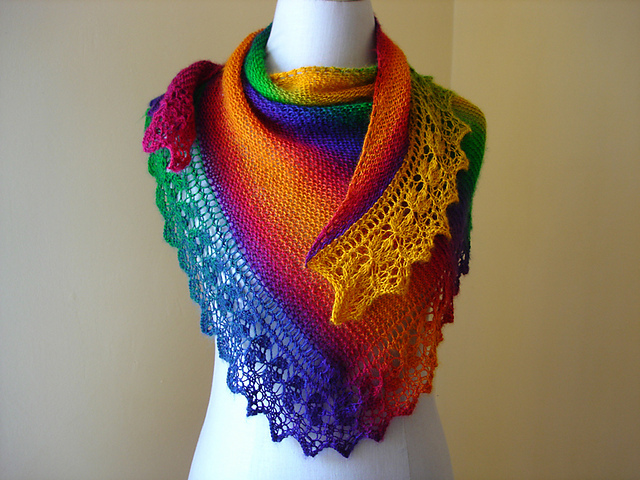 Why I love it: It’s a rainbow gradient shawl that’s adjustable to whatever size you want – what’s not to love? 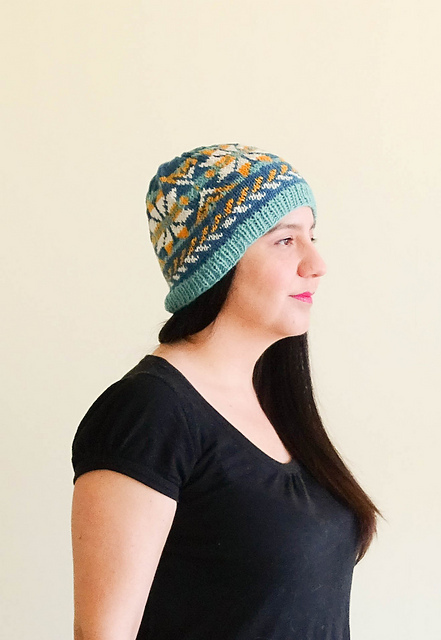 Why I love it: This is a beautiful fair isle hat with a star motif available in 3 sizes – a perfect wintry gift! Why I love it: They’re so pretty and I know at least 5 people in my life who would wear the heck out of these. Why I love it: The cables are amazing, the straps make it look like an pilot’s helmet, and because it’s adorable and I want my daughter to wear one. And off topic, Natalie’s models are the most beautiful children in the world. Why I love it: Every little lady needs a lacy cardigan in their wardrobe and this one is precious and available in 7 sizes from 6 months – 10 years! 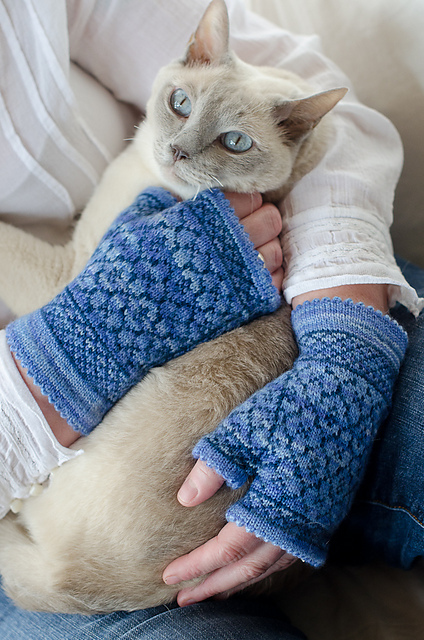 Why I love it: You can get a kit with the yarn (that Lily also makes!) and the beads. 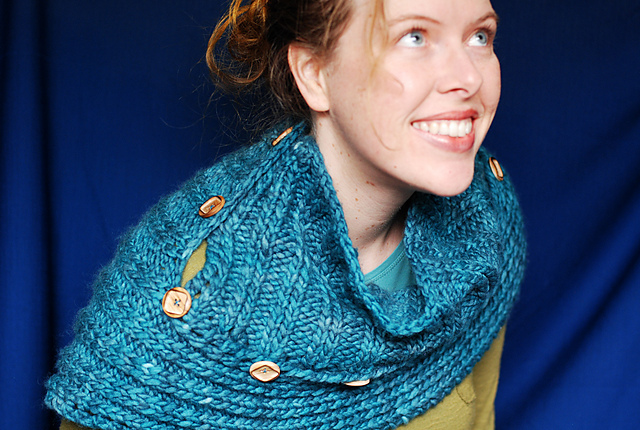 Perhaps the kit can be the gift for a knitter you realllly love! 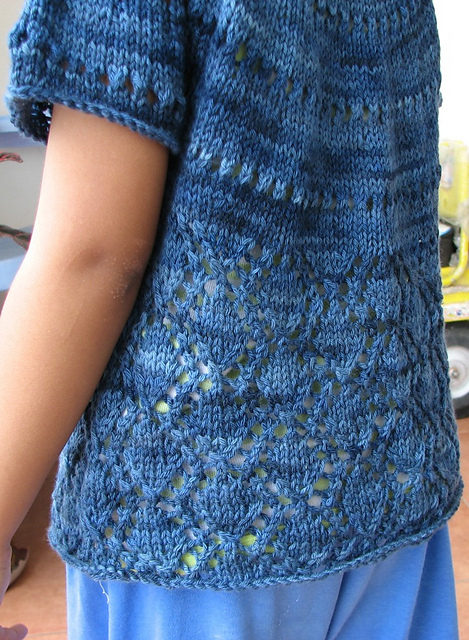 All of the patterns listed are 25% off with code giftalong2015 through November 27, 2015 at 11:59pm (US-EST). 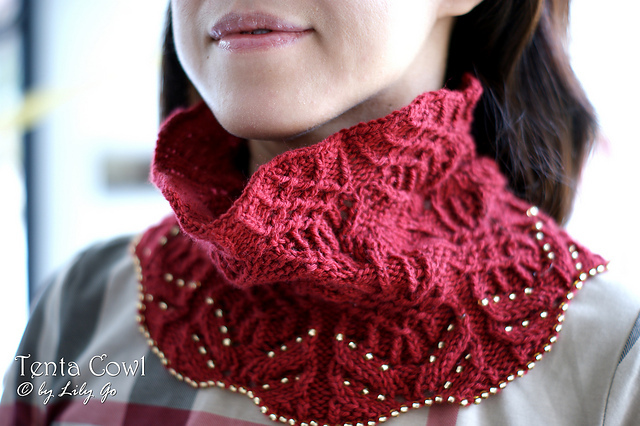 Pick up a discounted pattern (or 10) and then come join us in the 2015 Indie Design Gift-A-Long! Previous: Indie Design Spotlight – We Love You, Admins!